This year's conference focuses on the topic of Untapped Capital Ad Hoc Strategies, Waste, Play, and Youth: where untapped capital can be found and put to productive use. Joi Ito, Director of MIT Media Lab gives the keynote address on Wednesday, May 1. The conference at Cooper Union concludes on Thursday evening with The City and Untapped Capital: Mayoral Panel. A limited number of complimentary Conference tickets are being held for students with a valid student ID. These tickets are available on a first come, first served basis thirty minutes prior to each event at the IDEAS CITY ticketing desk at the Great Hall, Cooper Union. Joi Ito is a leading technologist, creative entrepreneur, and thinker on innovation and global technology policy. Ito is the Director of the Massachusetts Institute of Technology’s Media Lab—the innovation center that brought us the technologies behind Amazon’s Kindle and Activision’s Guitar Hero games. He was a part of the foundation of Japan’s first Internet Service Provider and today maintains his role as a leader both in investment and online creativity as the founder of Neoteny Labs. He will examine the Untapped Capital of the internet as it continues to transform society in substantial and positive ways. This panel will investigate how the maximum expression of design today is in the processes, open systems, and tools that shape society by enabling self-organization, platforms of collaboration, and decentralized networks of production. A group of individuals whose experiences combine analysis, public policy, activism, art, and architecture will discuss these and other issues as they consider the future of waste. The city itself has long been conceptualized as a "playground," and play is an inescapable part of our current cities, which are a hybrid of physical and electronic spaces. How can play and gaming assist us in reimagining and cocreating urban environments, foster deeper engagement, propel education, and provide solutions to urban problems? Youth is a vast global neighborhood replete with its own government, social networks, and modes of learning. Mentors and innovators discuss Youth as Untapped Capital focusing on the incredible capacity of today’s youth as innovators for change. For some cities, Untapped Capital might be neighborhoods; for others, the arts. Governmental efficiency and green power offer reserves of Untapped Capital, while “downtown” revitalization and transit expansion may have proven less stable resources. How does a city’s history become Untapped Capital and how deeply is a city’s identity tied to its resilience? The mayors will cite specific examples of their utilization of Untapped Capital from their tenures while also considering the context of their cities within a larger national and international framework. 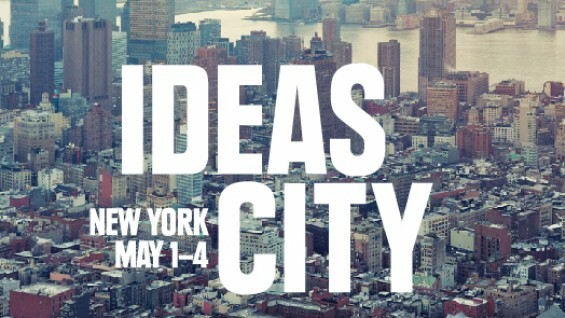 Partners for the conference include Members of the Executive Committee for IDEAS CITY are the New Museum (founder); The Architectural League of New York; Bowery Poetry Club; Cooper Union; The Drawing Center; New York University Wagner School; and Storefront for Art and Architecture.